While Murphy looked in strong form Selby certainly was guilty of some careless mistakes that may well have contributed to his defeat. But it all began so well for Selby as he rolled in 58, but then came the first of a number of errors as he left a red in the jaws of the corner pocket. Murphy's counter attack broke down on 35 when he missed a red to the baulk corner pocket and it was Selby who clinched the frame to lead 1-0. 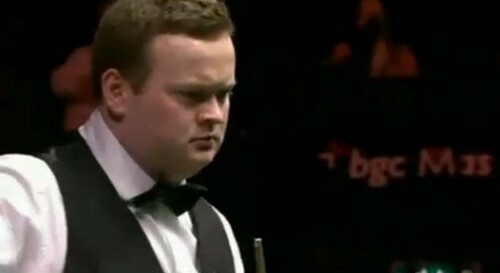 Murphy though snatched the second frame on the black after Selby had cleared up from yellow to pink. All he needed was the black to give himself a 2-0 lead. But poor shot selection was to prove his downfall as he left the black sitting just off the top cushion close to the corner pocket. Murphy needed no second invitation. It set the tone for the rest of the match as Murphy rattled in breaks of 88 and 72 to lead 4-1. The former world champion was in a clinical form. There were no rabbits pulled from the hat by the man who was introduced as The Magician, only formidable snooker as he capitalised on every mistake Selby made. Murphy too was to lead 5-1, but not before a kick left a red sitting the jaws of the pocket on 65. Selby with a chance to counter had the colours on their spots and set to pinch it. But tragically the frame was settled with a miss on a straightforward yellow and Murphy helped himself to 5-1. 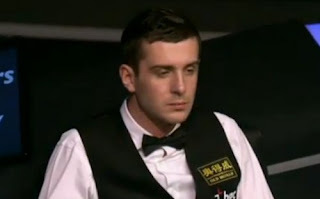 Selby finally showed glimpses of what has made him into such a feared competitor as he drilled in a long red and proceeded to clear the reds with blacks. Two reds remeained , one firmly glues to the cushion that Selby shifted with a deft little cannon off the black. Tapping the red and following with another black the only issue appeared to be the final red which he had to take to the yellow pocket. To groans of disappointment from the crowd the ball stayed out and the 147 that was available became a 112, and the 1000th century of the current season. But Murphy was not to be denied as he rolled in a mid length red to make 48, leaving himself showing as 68-0 ahead. Selby needed a snooker, and in vain he looked for one. The issue was settled when Murphy concocted a vicious snooker which placed the cue ball under the baulk cushion behind the yellow, with the green and brown acting as a barrier towards the red which was at the opposite end of the table. While Selby escaped from the snooker he could do nothing about the red that ended up in a pottable position for Murphy. Taking it he endured himself a 6-2 victory and mouthwatering semi final with John Higgins.